For this recipe I have used lamb fore shanks, taken from the front leg. I find a whole leg shank tends to be too much for one person, whereas a fore shank, being smaller, provides the perfect amount. Ask your butcher for these if you can’t find them in the supermarket. 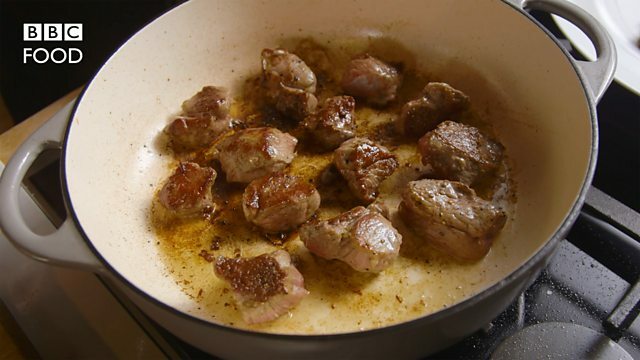 Heat 2 tablespoons of the oil in a deep, ovenproof frying pan or flameproof casserole dish and brown the lamb shanks all over on a high heat for 5–6 minutes or until golden-brown. Remove with a slotted spoon and set aside. 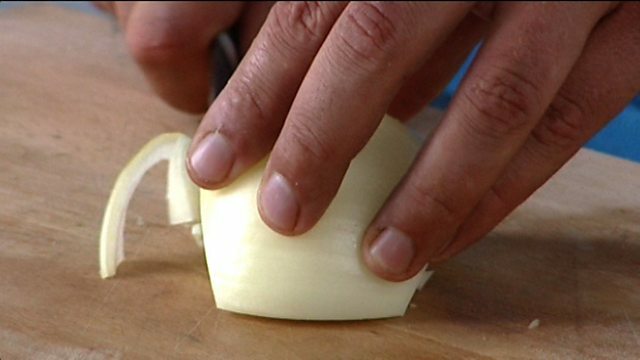 Add the remaining oil and the onion and garlic and fry over a medium heat for 3–4 minutes until soft. Measure the flour into a bowl, pour in the wine and whisk into a smooth paste. Add the stock to the onions, then add the wine and flour mixture and, stirring continuously, bring to the boil. Add the redcurrant jelly and rosemary and stir until thickened. Place the browned lamb back in the pan, season with salt and pepper, then cover with a lid and transfer to the oven to cook for about 2 hours or until the lamb is tender and just falling off the bone. When ready to serve, bring a saucepan of salted water to the boil, add the carrots, parsnips and turnips and boil for 8–10 minutes or until tender. Drain. Add a third of the vegetables to the lamb casserole and stir. Melt a knob of butter in a frying pan and fry the remaining vegetables over a high heat for 4–5 minutes or until golden-brown. Season with salt and pepper and remove from the hob. Serve one fore shank per person with some of the sauce and vegetables from the casserole and extra fried vegetables on the side. Garnish with the chopped parsley to finish. ‘Batons’ is just a posh name for vegetables cut into long strips. 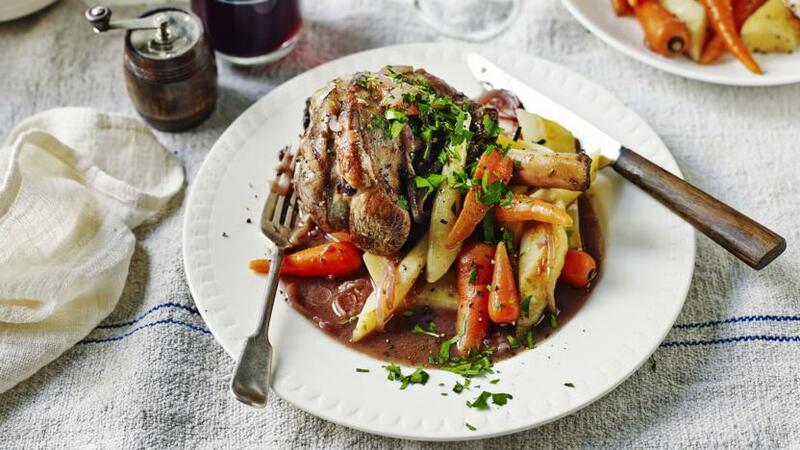 Prepare ahead: cook the lamb casserole 1–2 days in advance and prepare the vegetables shortly before serving.